The wild rose plant in my yard still carries some beautiful rose leaves on its branches. 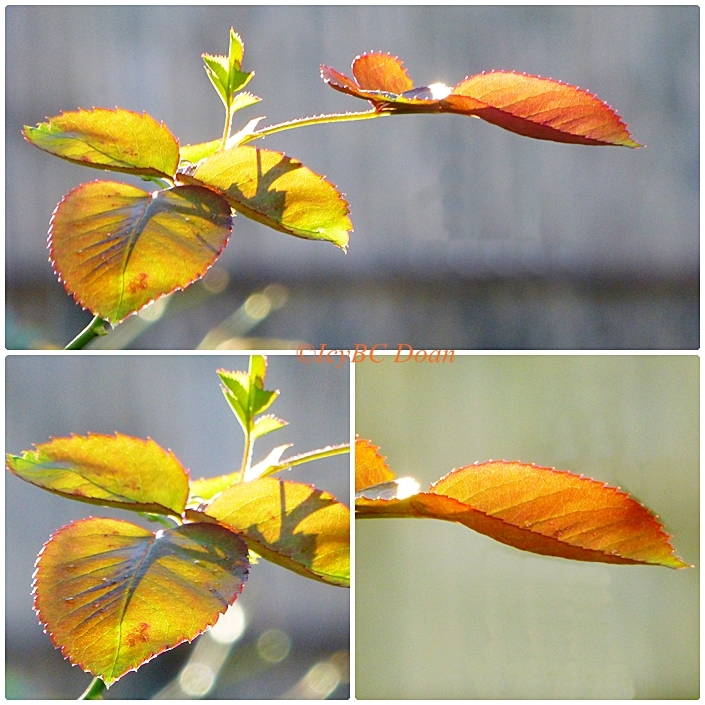 When the sun hit it just right, these leaves are utterly pretty. It is amazing to me that these leaves could withstand such cold weather. They are waiting for the last shot of the season. Looks as if they got frosted with gold! Beautiful. Lovely capture for the day!! Beautiful, colorful leaves!! The last leaves of summer. The lighting is pretty, gorgeous captures! Have a happy week! It is nice to know that you still have some nature left. The cold has killed most of what we had growing. What lovely colours still left in those leaves. Good lighting on the leaves. Makes a great pic. utterly pretty indeed Icy. you captured its stunning beauty so well! great, great shots! love it!